Jay Leno’s stand-up career began while in college and he moved to Los Angeles to write for television. He became guest host of The Tonight Show in 1987 and when Johnny Carson retired in 1992, NBC chose Leno as his replacement. In 2009, after 17 years as host, Leno handed the show to Conan O’Brien. But, only a few months later, NBC caused controversy by bringing Leno back as host and bumping O’Brien. In April 2013, Leno announced plans to exit The Tonight Show. He said a tear-filled goodbye on February 6, 2014 and Jimmy Fallon, the new host, kicked off the Tonight Show on February 17 th . From Steve Allen in 1954, Jack Parr in ’57 Jonny Carson’s tenure for 30 years beginning in ’62, to Leno and now Fallon, tradition stands and life changes, as does everything else. Change is in the air as springtime comes…. What’s changing for you? Jay Leno was born James Douglas Muir Leno on April 28, 1950, in New Rochelle, New York and moved to Andover, Massachusetts, where he spent his childhood and young-adult life. As a student, Leno displayed his comic tendencies with pranks and practical jokes. His fifth-grade teacher’s report card comments, “If Jay spent as much time studying as he does trying to be a comedian, he’d be a big star.” LOL Leno made his first appearance on The Tonight Show in 1977. Around this same period, he made numerous appearances on late-night TV, particularly Late Night with David Letterman. Later that year, he signed a deal with NBC that made him one of two permanent guest hosts of The Tonight Show. He became the only guest host two years later. In 1992, Johnny Carson surprised many by retiring from his long-standing role as America’s beloved and premier talk show host. There had been speculation that David Letterman, whose Late Night show followed Carson’s, would take over hosting duties, a position he had publicly coveted. 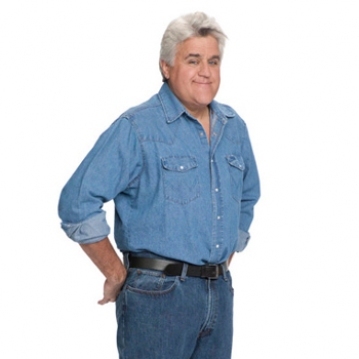 However, NBC picked Leno, who most considered to be a safer, more middle-America-friendly choice. As Leno reflected on his experience, he said the years he spent hosting the show were the greatest of his life. “I got to meet presidents, astronauts, movie stars… it’s just been incredible,” he said. He also thanked the audience for their loyalty and The Tonight Show crew for becoming like his family, especially since his mother, father, and brother all died within his first few years of hosting the show. It was a heartfelt, tearful farewell—along with plenty of playful banter and teasing. An old Buddhist proverb says, “Change is inevitable, suffering is optional.” We are all experiencing change in our lives in so many ways. Let’s use Leno’s way – and add heartfelt humor to each and every day. Make March Memorable!! !